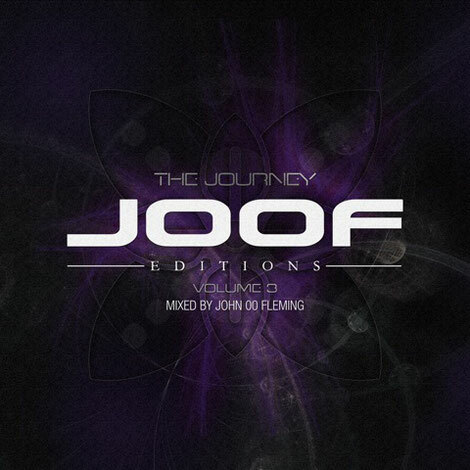 In 2014, John 00 Fleming mixed and released the second of his 4hr-long JOOF Editions music compilations. Described by MIXMAG as “a musical journey with no genre rules, but many twists and turns”, the magazine described it as “the sound of the underground”. A sizeable undertaking in terms of track sourcing, music selection, arrangement and mixing, it has taken John nearly three years to fully realise the third in the series. To build ‘JOOF Editions Volume 3’, he has marshalled a production contingent to power its near 300 minutes runtime. From Moby to Matt Holliday, Airwave to Ticon, Max Graham to Manu Riga, it incorporates the work of various producers. The album also comes with much music from inside the JOOF label group (Mantra / AURA / Recordings). In and amongst its 50+ tracks, you’ll find the studio wares of Rick Pier O’Neil, The Digital Blonde, Ovnimoon, Gordey Tsukanov, Satinka and other producers too numerous to mention. You’ll also find plenty from operators like Jerome Isma Ae, Gai Barone, Tim Penner, as well as the likes of Sean Tyas, Will Atkinson, Christopher Lawrence and Relativ. It’s out 6 March 2017.